Working day in and day out at a construction site is not only physically demanding, but is can also prove quite dangerous. The construction site is often a far riskier workplace than most any other type. If you or a family member has become the victim of a devastating construction site accident, you may be eligible for workers’ compensation or a third-party personal injury lawsuit. At Wagner & Wagner Attorneys at Law, we understand the intricacies of workers’ compensation law, as well as personal injury law. We know which statutes to apply in each situation. 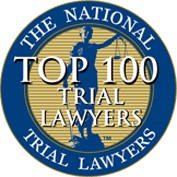 Our Chattanooga construction accident attorneys understand how to use these laws to help innocent people who are suffering as a result of someone else’s negligence. Construction workers face particularly dangerous conditions, including elevated workspaces, heavy equipment, moving objects and obstacles, and unstable structures. On a job, you could fall from a steep height, be crushed by heavy machinery, or even be impaled. Any of these injuries can be severe, leaving construction workers with years of medical care and rehabilitation. 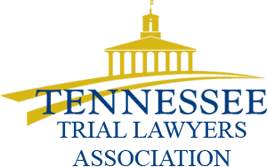 Our knowledgeable Chattanooga construction accident lawyers know the financial burden that these types of serious injuries can place on a family’s resources. That is why we dedicate our time and skill to securing awards that adequately cover these expenses. Together, they account for 63% of all worker fatalities. As you can see, falls contribute to more construction workers deaths than the next three categories combined. In many cases, conditions leading up to the injury can be traced back to weak hiring practices, poorly maintained equipment, OSHA violations, and other negligent practices. We have represented victims against many different defendants, including contractors, owners, managers, architects, and other personnel. Depending on the details of your accident, your skilled Chattanooga construction accident attorney works to strategically pursue the right legal avenues. 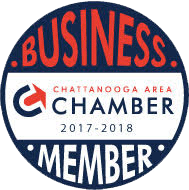 When you need an advocate to guard your rights, trust the Chattanooga construction accident lawyers at Wagner & Wagner Attorneys at Law. Our law firm has been guiding our neighbors through difficult times since 1945. Please contact us now or call 423.799.3532 for a no-cost visit with an attorney. We work with injured workers in Chattanooga and Cleveland, TN, in North Georgia, and all the surrounding counties.